Machine gun mounted on bridge wing. G.S. Dole Collection. 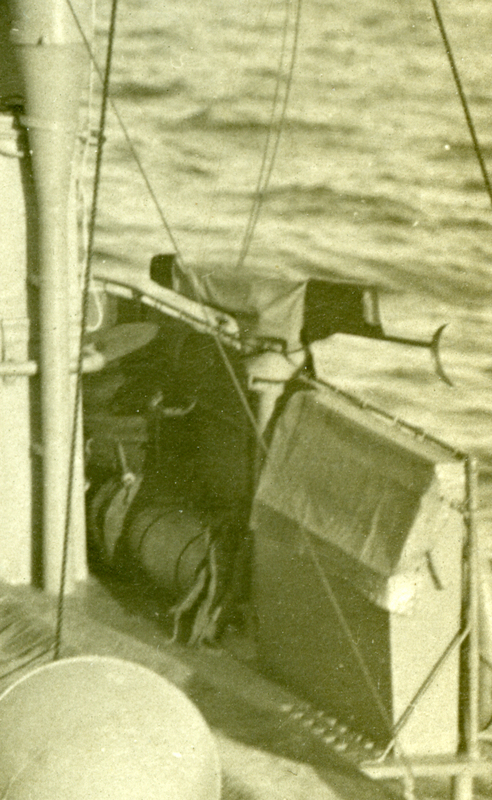 In many photographs, machine guns are shown mounted on stanchions on the bridge wings. This is a blow-up of a section of a photo showing one example.